With the increased emphasis on fitness, more companies are investing in dedicated training gear. There are more options than ever for men to be comfortable, functional and stylish when they workout. Sweat-wicking fabrics and water repellent materials have created products that out perform cotton based gym clothes. 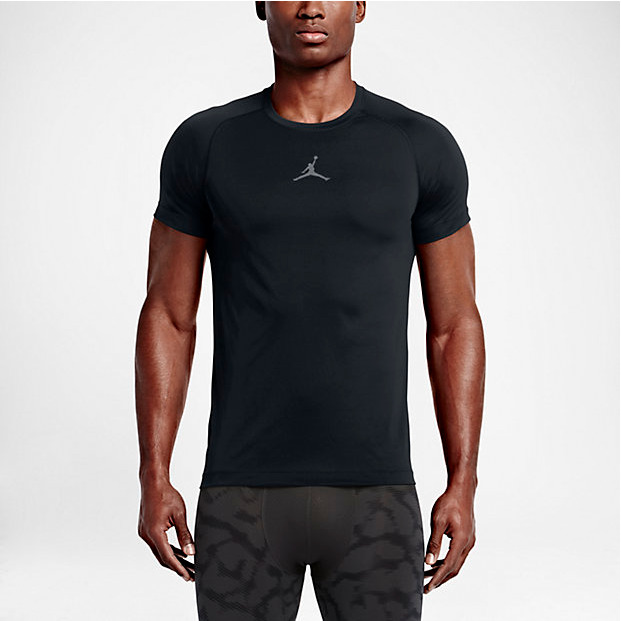 The Jordan AJ All-Season Training shirt is the perfect base layer tee to get you through your workout. Light-weight and breathable so you can concentrate on performance. The black workout tee looks good with everything. When working out you want a pair of shorts that provides full range of motion. 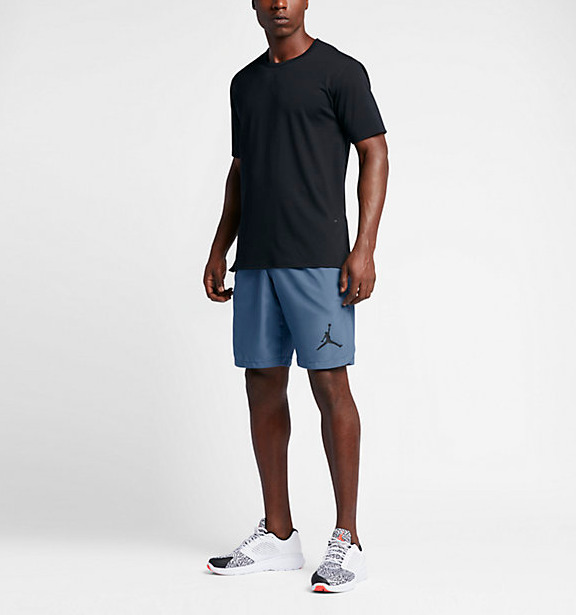 The Jordan Flex training short does just that. The stretch material allows for mobility while squatting, doing lunges or running on the treadmill. They have a few color options for versatility when pairing a t-shirt with your shorts. Tights are not just for women! Compression tights are a great way to protect your legs during the colder months and also hid small calves (lol, just kidding...). Tights help to accentuate the lower body will providing full range and keeping you comfortable during workouts. The AJ Classic Compression tights have great branding down the side of the leg. Guaranteed to standout on the squat rack or on the basketball court. The Air Jordan Trainer 1 Low not only performs but it looks good too. Named after the ultimate performance basketball shoe, the Air Jordan Trainer 1 provides a low-profile, siped outsole that puts the athlete closer to the ground and allows him or her to move quickly in any direction. The shoe will come in both a mid and low silhouette. What's your favorite training apparel brand? Why?